At some point in your SCOM career you need to have quick access to a network device because you either need to show the SCOM network monitoring capabilities, develop a SNMP management pack or you might need to build some custom SNMP monitors or rules. I think it is always a pain to carry a switch / router with me 🙂 or to get access in a customer environment. 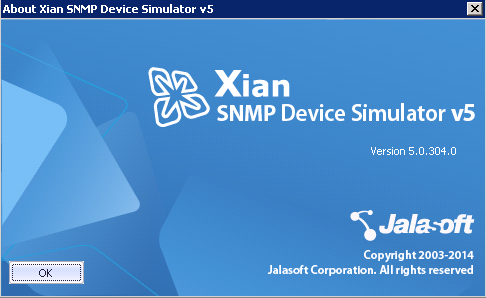 For such and more reasons, companies like Jalasoft created a SNMP Device Simulator. This May Jalasoft released version 5 of their software and I would like to give you a short overview of this clever and mature software. 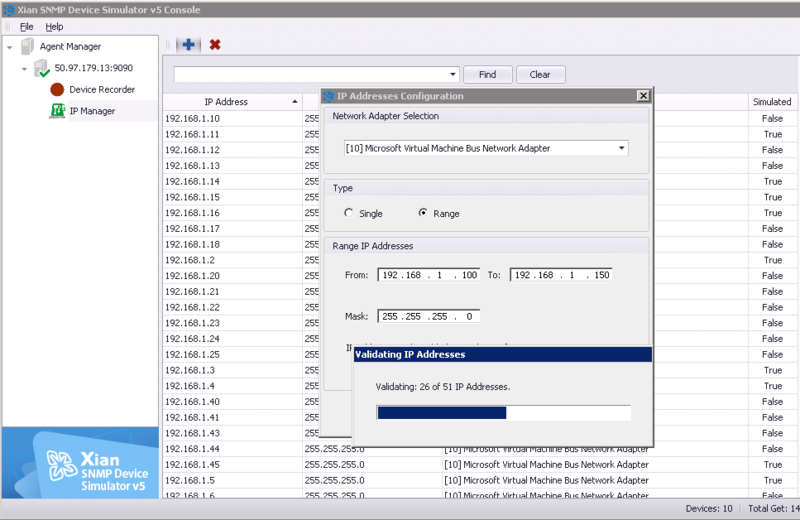 In addition you need free IP addresses in your network which you need for simulating the devices and make sure the SNMP ports are not blocked. 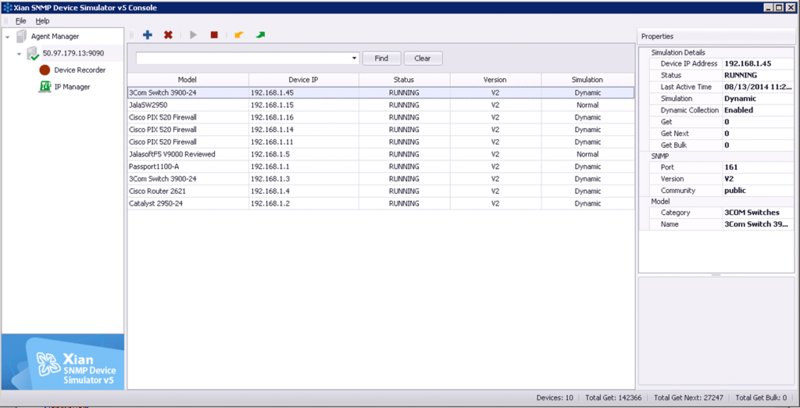 After the installation you can start the console and simply add and configure the SNMP devices. 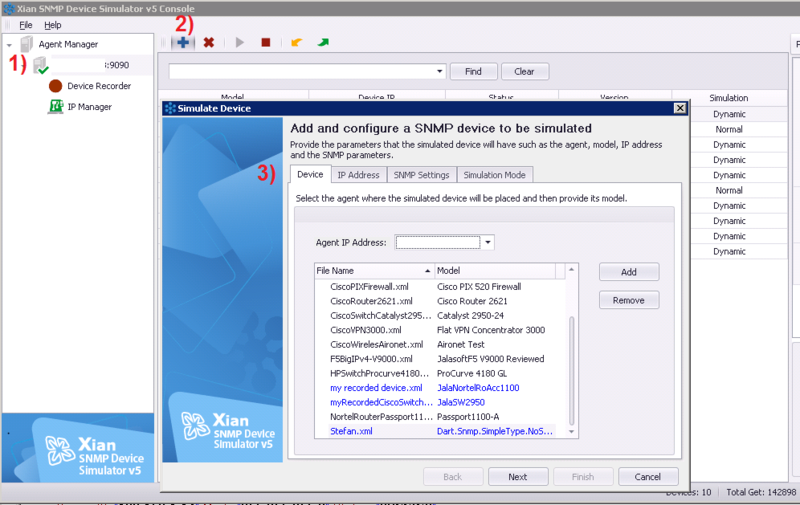 The SNMP Device Simulator grants users the option to perform a dynamic simulation or a normal simulation (the most basic type).The simulator uses a variety of formulas and statistical operations to generate dynamic values on the selected virtual devices, resulting in more realistic behavior. 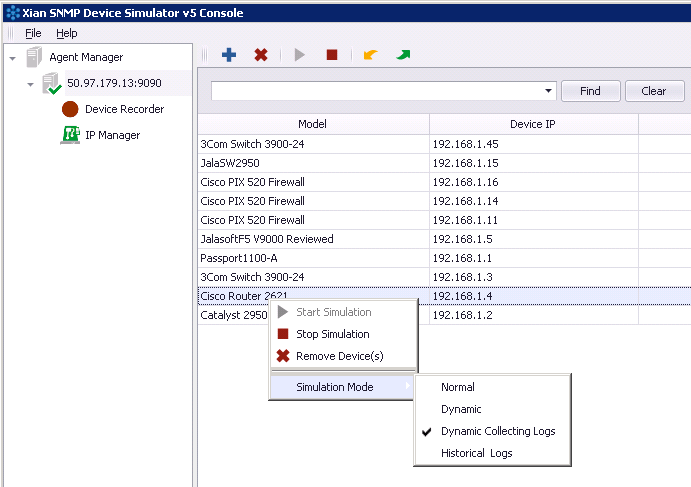 If you select Dynamic Simulation Collecting Logs the software creates a log during the dynamic simulation. These logs can be used to have a recording of the simulation which you can use in the 4th option Historical Logs. Use the logs generated in a dynamic simulation to reproduce a precise behavior during a specific timeframe. 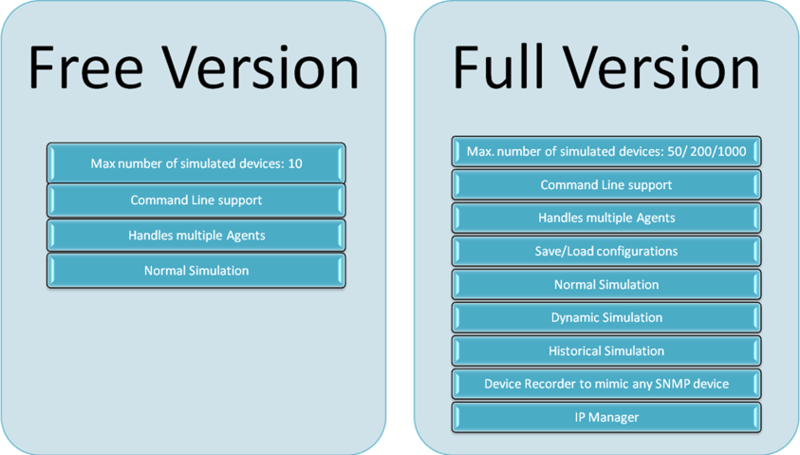 With the Historical Simulation feature you can reproduce identical scenarios over and over again helping you to pinpoint changes that need to be made to your tools, monitoring software or network configuration. This feature is ideal for tests that depend on identical data in changing environments. What I am missing here is a bundle of PowerShell cmdlets instead of an old fashioned batch command. 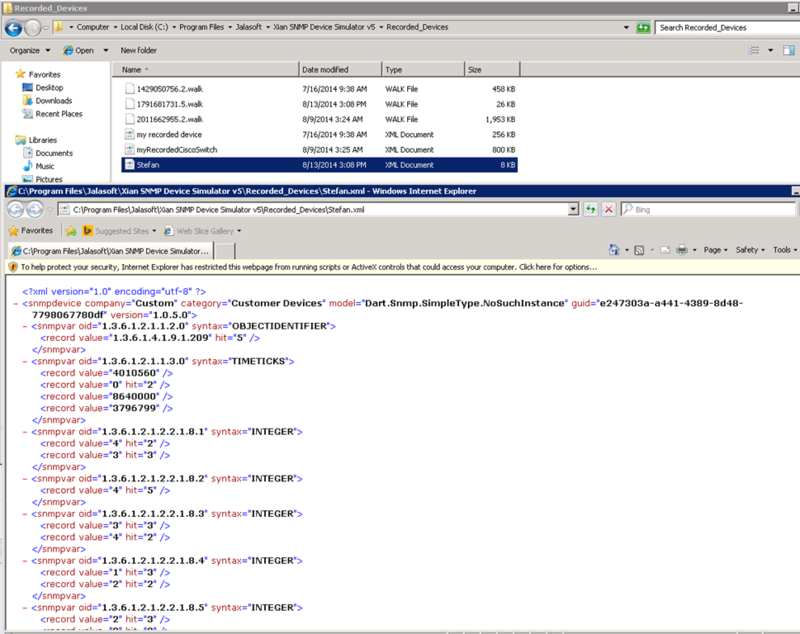 Having PowerShell cmdlets would make scripting and automating in todays world much easier. After adding the device you just need to define the simulation mode and you are all set. Easy! 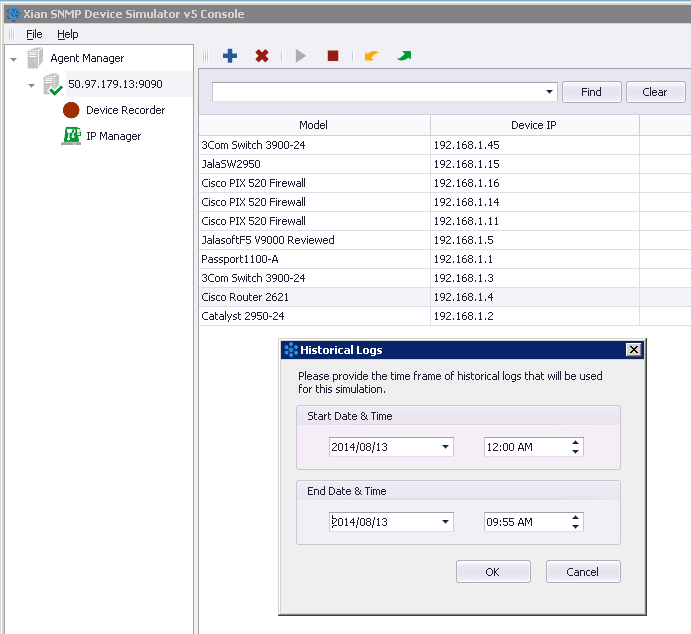 Jalasoft’s SNMP Network Device Simulator is a very stable and robust piece of software which helps you simulating one or hundreds SNMP devices within seconds. 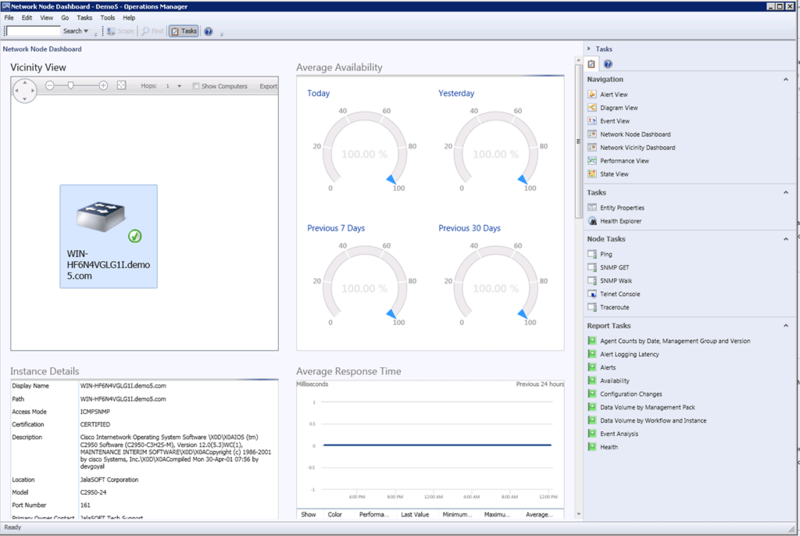 The new features like capturing data from real devices and replaying it any time and as often you want comes in very handy for troubleshooting, developing management packs or testing SNMP rules and monitors. 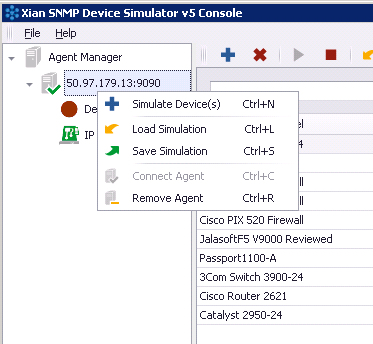 If you need an easy and comfortable way for simulating SNMP devices, I highly recommend it.